A brown bear (Ursos arctos) crosses a small stream in Katmai National Park, Alaska. 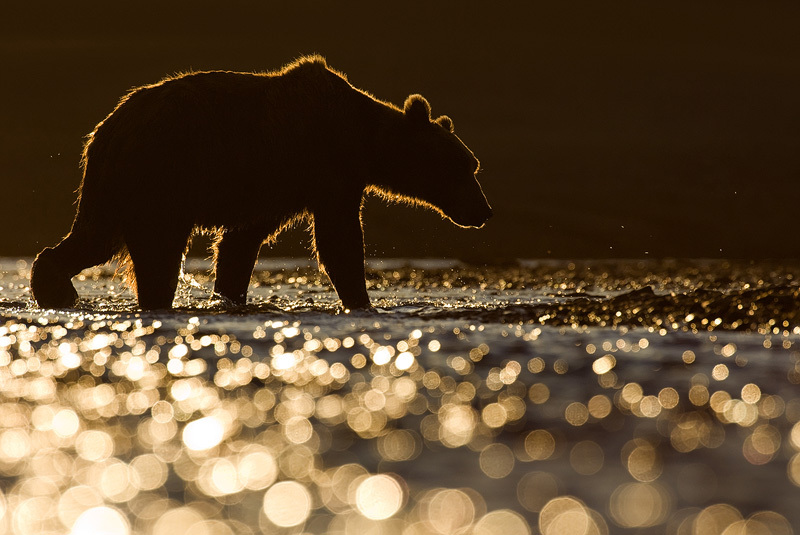 I had spotted the bear walking towards the stream and positioned myself in the water to get a very low perspective, shooting in the direction of the setting sun. The dark background is a shaded mountain.